Aug. 18, 2017, 1:43 p.m. I am a high school teacher in New Jersey and I am creating a course where students learn and play competitive esports in the name of education. I do not want to go into too many details too soon about the content of the course but I would love to share as it continues to develop. 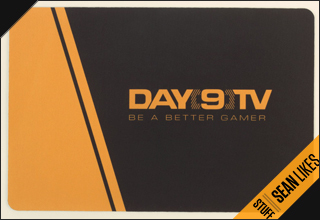 I am in need of Day 9 videos where he discusses a few specific topics... 1) For the purpose of convincing my administrators and parent associations that children won't just be messing around with games... I need content describing the social, cognitive, and whatever other benefits can be describes by playing games competitively. 2) I need videos where Sean talks about 'technique' or best practices. For example, I know there is a video regarding proper stretching and some focus techniques. And finally 3) Where Sean may go into some detail about the mathematical possibilities in a hearthstone game or Starcraft discussion or anything that even seems remotely academic. I will be going through the archive to see what I can find but any assistance would be amazing and expedite the resource colleciton portion of my process.